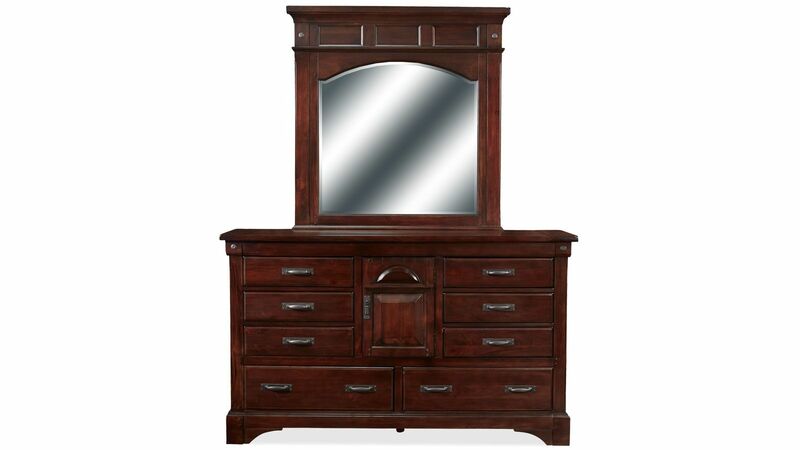 With this queen bedroom set, you can easy create your own stylish sanctuary. Traditional elements including a rich finish and detailed designs bring elegance and character to any environment. You'll fall in love with the graceful forms and warmth provided by these solid wood pieces. Along with an amazing style, this bedroom set also offers incredible functionality. Take advantage of the ample storage space provided by the nightstand and dresser to keep your room tidy and organized. 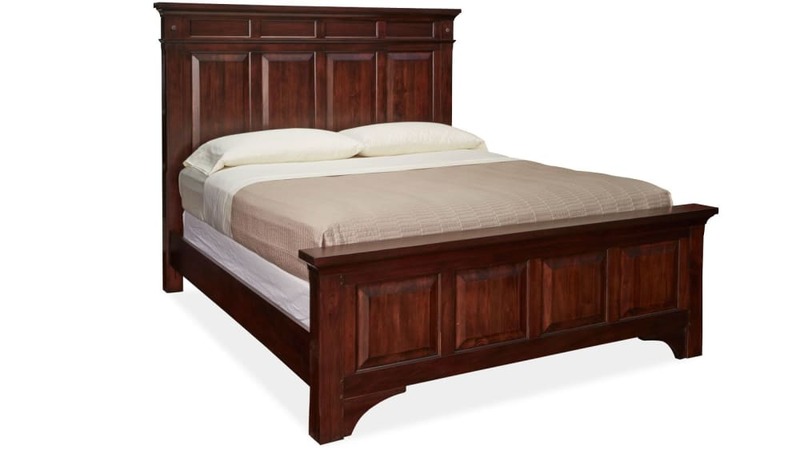 Let the large headboard and foot board create a complete look for your bed to be the focal point of your space. With this beautiful and practical set, you can finally put together the bedroom you've been dreaming about for years. 100% solid wood construction makes this set high in quality and style. 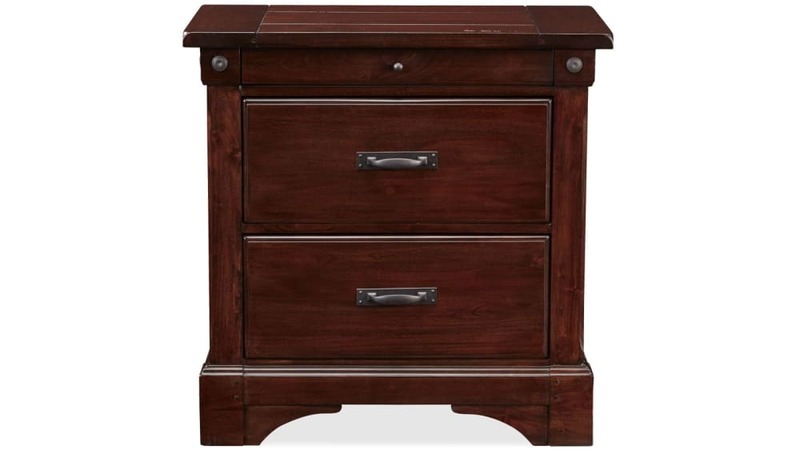 Dresser features two large and six smaller-sized drawers to keep your room organized. 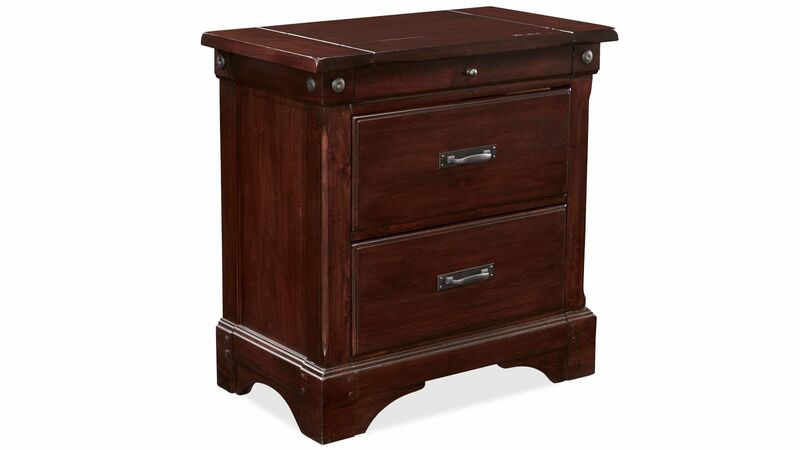 Nightstand has two large drawers and a pull-out drink plate to keep personal items conveniently within arms' reach. 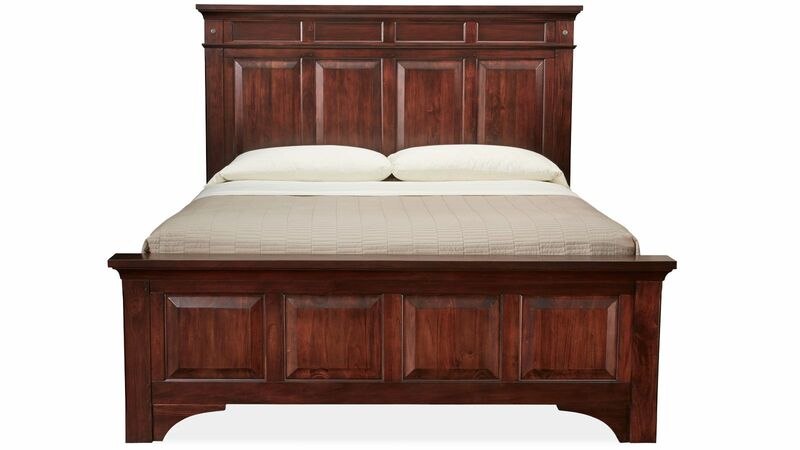 Queen-sized bed has substantial head and foot boards to give your space that "wow" factor. Dovetail construction lends durability to this high-quality set. 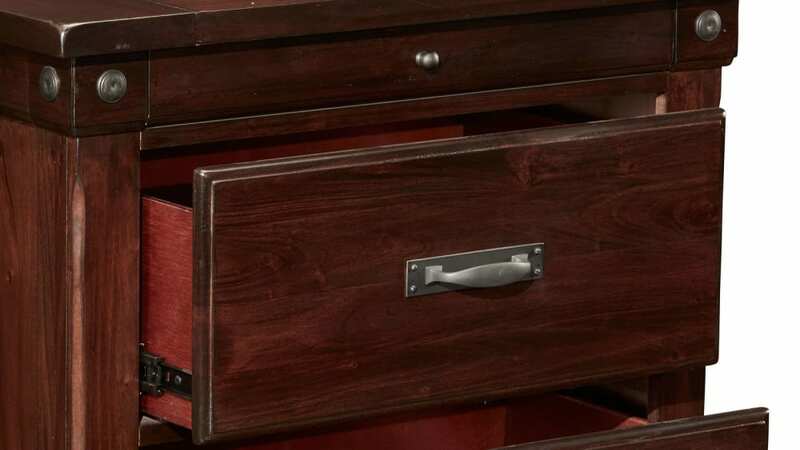 Felt-lined top drawers offer the perfect place to keep your valuables. Burnished gray metal hardware completes the look of this stunning bedroom set. 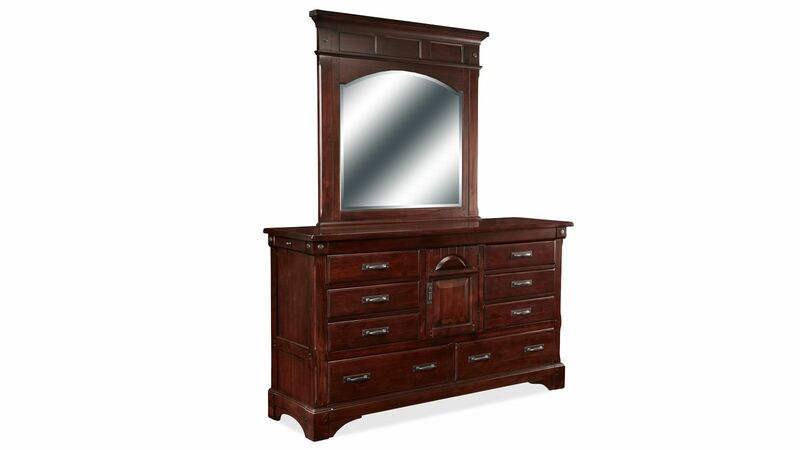 A queen bed, dresser with mirror, and nightstand all come included in this traditional set. With the essentials in place, you can easily find stylish decor to complement and complete the look. Note: chest of drawers pictured is available separately and is not included in this set. Finished interior drawers that stay smooth to prevent snags when storing clothes. 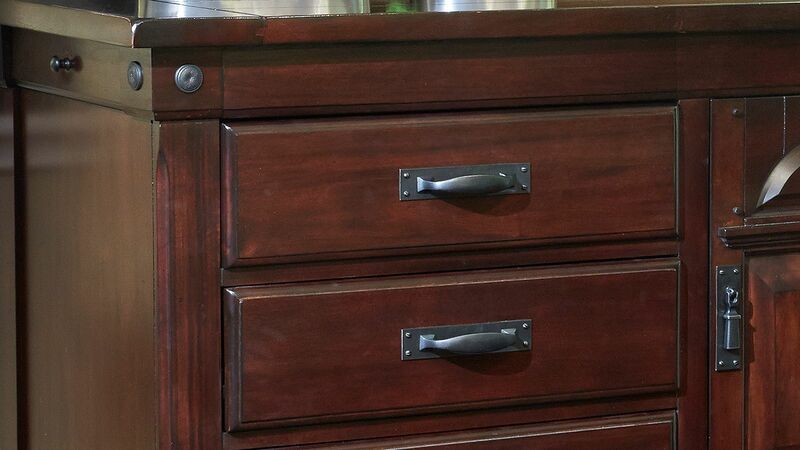 Full-extension bearing glides to make opening and closing drawers a breeze. 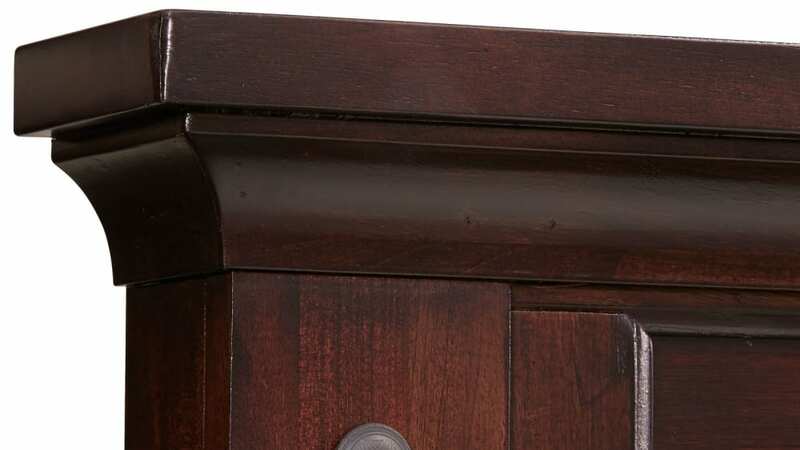 English dovetailed drawer construction to keep your dresser and nightstand functional even after frequent use. A stylish space starts with the right bedroom furniture essentials. Give your bedroom the solid foundation it needs to shine by taking advantage of Gallery Furniture's same-day delivery TODAY.